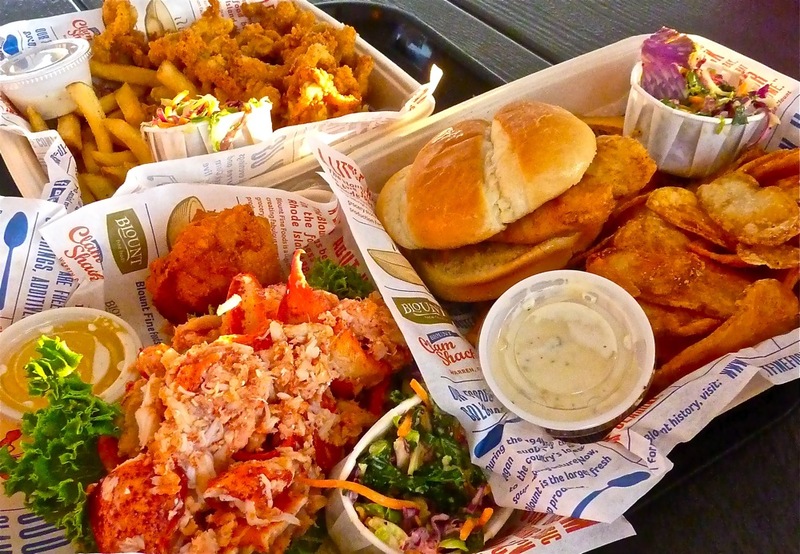 Lobster roll, fried clam plate and fish sandwich from Blount Clam Shack in Warren, R.I. 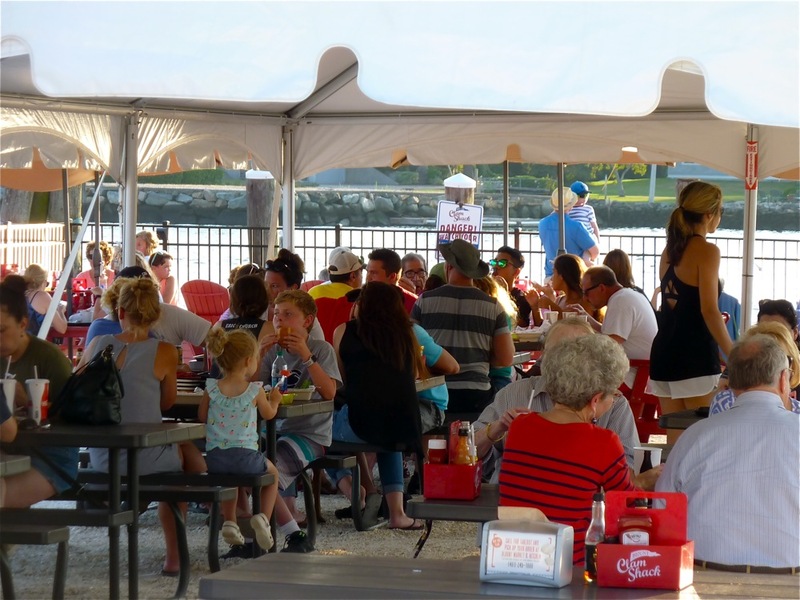 This classic seasonal waterfront clam shack offers an idyllic place to enjoy local seafood dishes like whole belly clams, huge half-pound lobster rolls, clam cakes, and New England clam chowder while taking in the pleasing water views. Cold beer is available for the adults, also. Customers order at the window, find a seat under the big tent, and wait for the buzzer to signal that lunch or dinner is ready. The seafood is reasonably price, generous in size and absolutely delicious — what you’d expect from a local seafood shack. Summer in New England feels so good here! Blount Clam Shack is located at 335 Water St., in Warren. Tel. 401-245-3210. 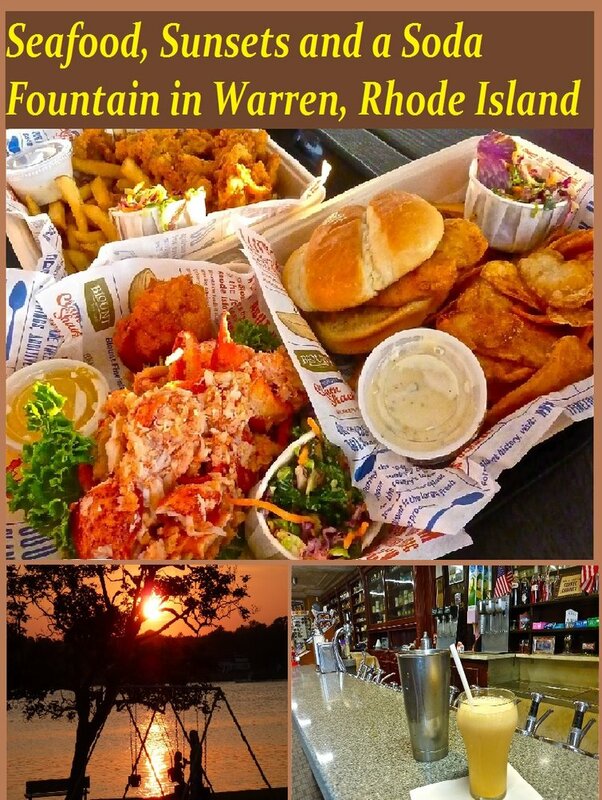 Editor’s note: If you can’t make it to Blount Clam Shack during the warm weather season, no worries; Blount Market and Kitchen, at 406 Water St. in Warren, is open year-round and features a nice little dining room to enjoy all that yummy, local seafood — or to order at the market and bring some home. 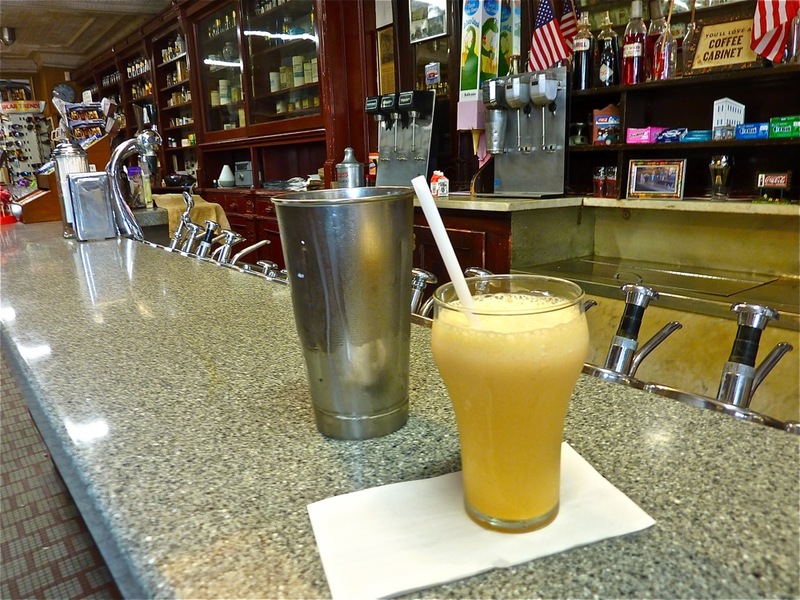 Waterfront dining at Blount Clam Shack in Warren, R.I.
Creamsicle drink at the soda fountain in Delekta Pharmacy in Warren, R.I.
Old fashioned Delekta’s Corner Store with soda fountain in Warren, R.I. 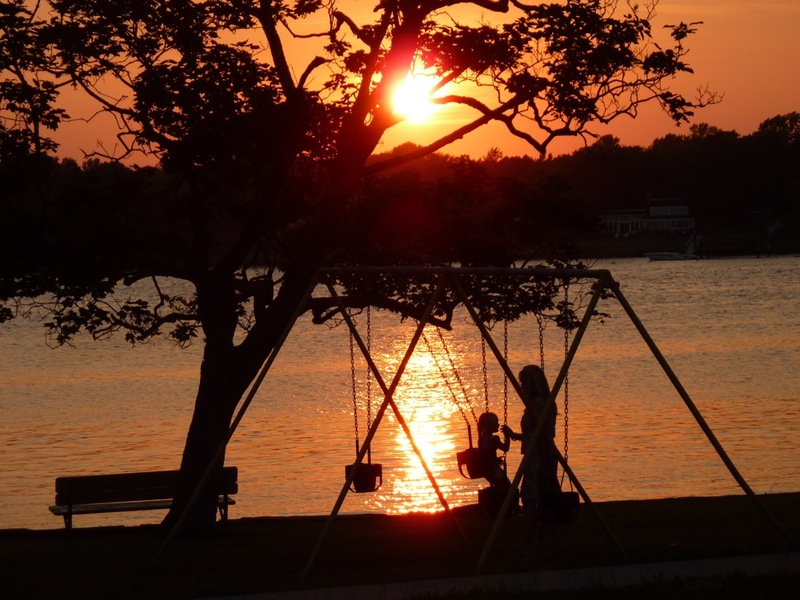 Mother and daughter at sunset by the waterfront in Warren, R.I.
With a modest sandy beach, grassy shaded park, a playground area and generally placid waters, Warren Town Beach will never be mistaken for one of the famous, most beautiful beaches in New England, but that’s the appeal. Meant as a local oasis for residents, the Warren Town Beach pleases with its low-key presence, nice water views and quiet nature. In other words, this is not a tourist trap with high entrance fees and wall-to-wall people. It’s free to visit, and, later in the day, the sunsets can be stunning! It is a ideal place to stroll or sit by the waterfront, kids to swing on the swingset and boat enthusiasts to navigate the waters. Warren Town Beach and Park is located at 533-559 Water St. in Warren. 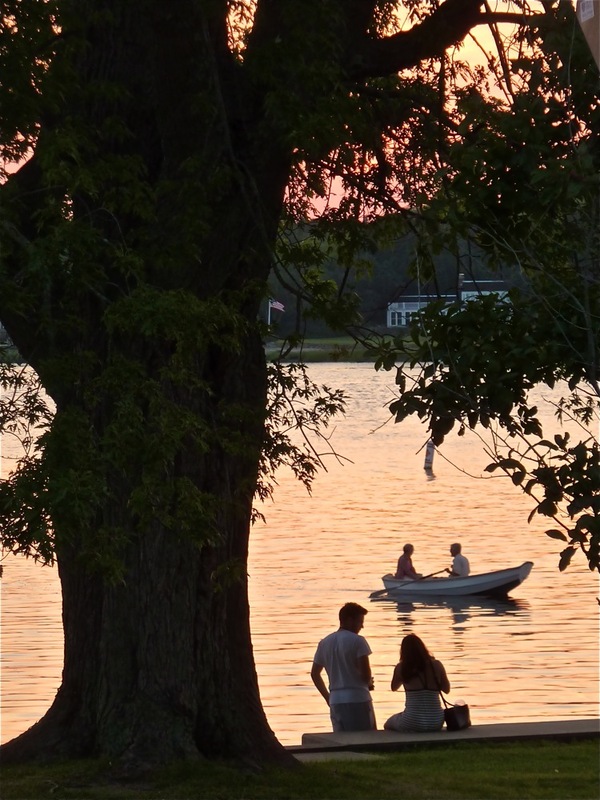 Twilight at Warren Town Beach in Warren, R.I.
Love this article on Warren, Rhode Island? Please reshare this graphic on Pinterest! Attention Small Businesses in Warren, Rhode Island: Would you like to permanently be featured on VisitingNewEngland and part of continuous social media campaigns through a detailed sponsored post story? 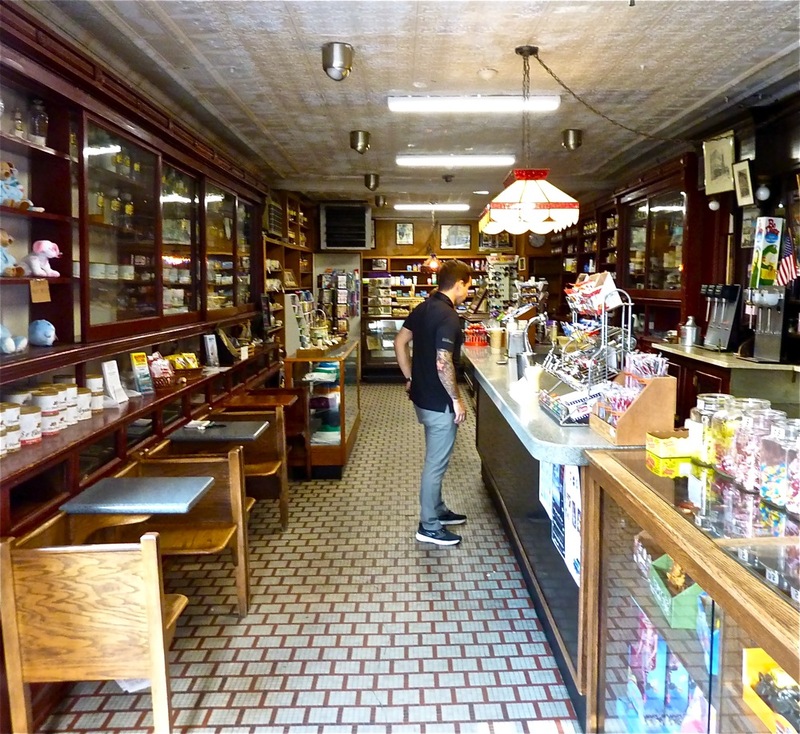 Check out my Small Businesses in New England Corner, and contact me if you’d like to be part of this exciting, growing community at VisitingNewEngland. Sample local story: The Abbey in Providence.